Most of the all natural recipes I have tried in the past were the result of trying were to replace items I already purchased. For homemade foot powder, this was not the case. I didn’t have any foot powder to begin with. While it’s common to use foot powder, I personally had never used any. However, I was also keenly aware that certain shoes and certain fabrics over time begin to lead to stinky shoes. 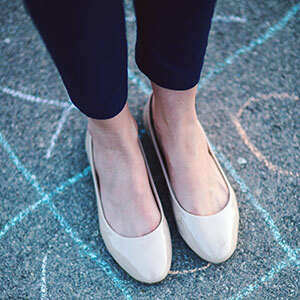 Of course, personal hygiene is important to keep foot odor at bay, but even the cleanest of people can experience some foot smell when going sock-less in shoes over a long period of time because bacteria thrives in dark, warm, moist places. When I splurged on a pair of Sperry Top-Sider Angelfish boat shoes a few years ago I knew I wanted to avoid any foot stink in the shoes at any cost. They were really nice shoes and I wanted them to last many years. But the shoes are also worn best without regular socks, the “barefoot” look, if you will. I began researching foot powder options after several friends advised that was the way to go to keep any foot odor at bay and to keep the shoes in great shape. Why Not Use Baby Powder? I looked at the drugstore for foot powder. Initially I purchased a bottle of baby powder, which contained relatively the same ingredients in foot powder, but at a fraction of the price. I’m all about saving money so the baby powder seemed perfect. That was until I came home and read the ingredients. Outside of accidentally inhaling it and causing lung damage, some studies indicated talc could cause ovarian cancer by seeping through the pores of the skin. This is most common if the talc is used in discreet places, however, any talc on any part of the skin can be absorbed by the skin. It’s in part, due to these same reasons, that talc isn’t used widely on babies anymore to prevent diaper rash. As I found out when we had our daughter, most parents use an ointment such as Aquaphor, or for a cloth diaper friendly cream, something such as the GroVia All Natural Magic Stick, which is what we used and loved! In a bowl, mix equal parts baking soda and corn starch. Add a few drops of essential oil. I used tea tree oil. It has a nice neutral fragrance and contains anti-bacterial properties which not only help with bacteria in your shoes and on your feet but also with storage of the mixture. Mix all of the ingredients together. A fork works fine to sift through and blend the mixture well. Store the foot powder in an airtight container such as this one by Rubbermaid. There is no end storage limit on the foot powder. I wouldn’t keep the same batch for years but it should last several months. In order to use the foot powder, simply toss a tiny bit into the shoe after wearing them to absorb any moisture. It helps to tap the shoe (left, right, top and bottom) to get the powder to cover the entire shoe and not just sit in one spot. Then let the shoes sit with the powder in them until the next time you wear them. Prior to the next wear, dump the excess powder from the shoes and put them on. Enough powder is still in the shoes to absorb any moisture from the feet during wear. 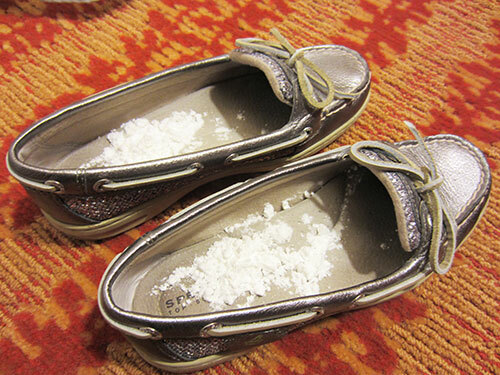 Here’s an example of what the powder looks like upon placing it in the shoes after wear. You can use as much or as little powder as desired. The recipe for homemade foot powder worked well for me for quite some time. The other piece of advice I have for keeping the stink out of shoes is to not wear the shoes every day. Give them at least a day in between to really air out and let the powder remove odors. 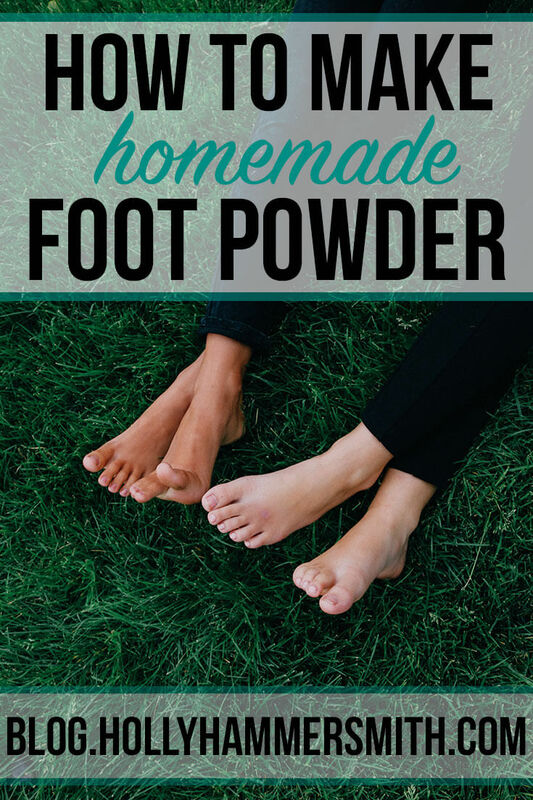 The way this homemade foot powder works is in addition to absorbing moisture the baking soda and tea tree oil help eliminate odors and to “deodorize” the shoes. I first tried this recipe in 2013. 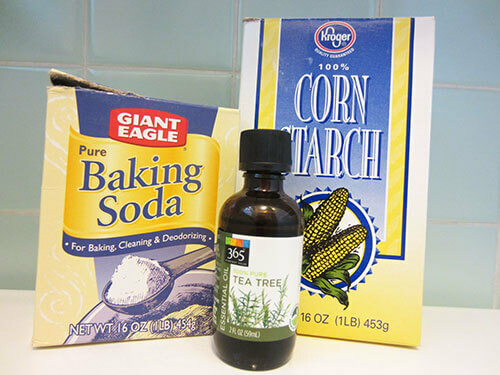 I have since stopped using this recipe for homemade foot powder. It began to cake in my shoes over time so I switched back to using baby powder, with special precaution not to inhale the powder. I may have been adding too much powder to my shoes. When I use the baby powder I only use a tiny bit and usually try to tap my shoes out in the yard prior to putting them on. It’s an extra step but it helps to ensure I’m not inhaling any of the talc or distributing it around the house. It helps that I keep most of my shoes in the garage and only a step away from the outdoors. Also, I ended up purchasing no show socks that work well for shoes that you want the barefoot look with. The socks fit great in my older pair of Sperry Top-Sider shoes. I ended up buying a second pair of these shoes and the newer pair fit a little more snug so I tend to wear those without socks and use the baby powder. Some people do prefer this “natural” option though so I am keeping the recipe up on my blog. I’m happy to answer any questions you have on the homemade foot powder recipe as well. If you try it, use a little at a time, you can always add more to your shoes later if needed. *This post was originally published in 2013 and has been updated and republished for accuracy and comprehensiveness. I have no idea, I am not a doctor or scientist. Not sure, never used that before.